For generations, the urban legend of Granny Hatchet has plagued the quiet residential area of Suvikylä in northern Finland. As the story goes, this immortal killer murders her victims with a hatchet, then buries the hearts in a potato field and eats them after they’ve rotted black. ”I LOVED this. So creepy and beautifully written.” – Kirsty Logan, author of The Rental Heart & Other Fairytales and The Gracekeepers. ”I was utterly pulled into this story and shocked at how it all came together. This is definitely an author to keep an eye on.” – 2 Book Lovers blog. 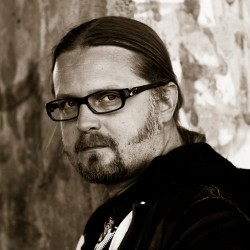 Marko Hautala’s unique blend of psychological horror and realism has attracted readers of all genres, earning him a reputation as the Finnish Stephen King. 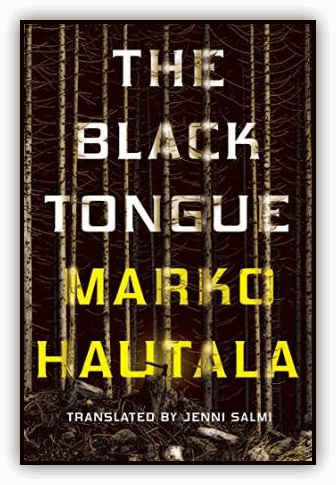 His first novel, Itsevalaisevat (The Self-Illuminated Ones), received the Tiiliskivi Prize, and Käärinliinat (Shrouds) received the Kalevi Jäntti Literary Prize for young authors in 2010. Unikoira (Seeing Eyes) was nominated for the Young Aleksis Kivi Prize in 2013.